Every NFL training camp is now fully open, and so we're already back to the annual tradition of football players getting seriously hurt. Saturday brought three injuries of major significance: Eagles wide receiver Jeremy Maclin tore his ACL; Ravens tight end Dennis Pitta injured his hip severely enough to require surgery; and Browns guard Ryan Miller's concussion originally sounded much worse. The Ravens and Browns have been fully underway since July 24, and veterans reported to Eagles camp on July 25. During training camp today, an unidentified Browns player was taken off the field in an ambulance. 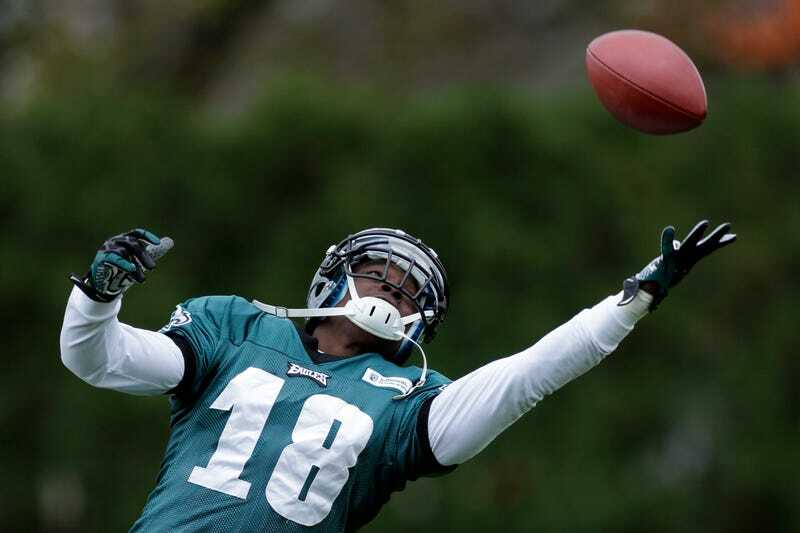 Football players have a job that carries many, many risks of injury, freak—Maclin went down during a no-contact portion of practice—or routine, like the collisions that hurt Pitta and Miller. Maclin and Pitta are each free agents after 2013 season, and will probably miss out on millions because of their injuries, while Miller, a second-year player, is close enough to the edge of a roster for any injury to be worrisome. And those are just the near-term consequences; torn ligaments and dislocated hips and concussions don't magically heal as soon as a player retires. Players are going to keep getting injured, and losing massive amounts of future earnings because of it, as long as professional football is played. Sometimes, we just get to forget that for a while.